Stuart holds post-graduate qualifications in radiology (Certificate in Veterinary Radiology) and small animal medicine (GP Certificate in Small Animal Medicine). 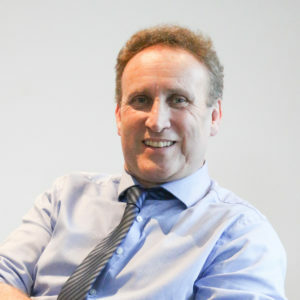 He has a particular interest in diagnosis, particularly through imaging, orthopaedics and dentistry. He lives minutes from the surgery with his wife, their puppy Piper and Miffy the tortoise. They have three children, the eldest a qualified doctor with the other two at university and school respectively. He enjoys rugby and has played at Hitchin Rugby Club for 25 years. In an ambitious project with much of the work carried out by Stuart himself, a former barn at St Ibbs farm, London road, Hitchin has been transformed into his new, state-of-the-art veterinary practice. It provides a spacious and modern working environment for Stuart and his team and luxurious accommodation for patients and their owners. It also offers some of the most advanced veterinary equipment, including a high power X-ray machine; a dental radiography machine, video otoscopy and computerised ECG and blood pressure monitoring, full operating and hospitalisation facilities and an in-house lab. 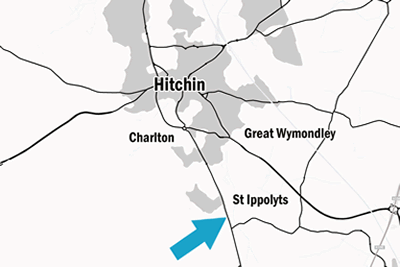 Hitchin Veterinary Surgery at St Ibbs farm is minutes from the centre of Hitchin, is easily accessible and offers plentiful parking. Annabel started her animal studies at Shuttleworth College obtaining a National Diploma in Animal Management. During her time at college she was employed at Pets at Home Stevenage store, gaining further small animal experience as well as regular interaction with the public. In 2012 she began her veterinary based career working at Berry House Vets as a part time receptionist, progressing to full time and later managing the VIP scheme alongside her reception work. Annabel is now Hitchin Veterinary Surgery’s full time receptionist. Having qualified as a veterinary nurse in the 70s, Flip spent 15 years in corporate finance before being encouraged back into the veterinary world by Pete Dawson and Stuart de Wolf. She worked with Stuart for 24 years until he retired from the practice and re-joined him and the team in April 2017 in his new venture – Hitchin Veterinary Surgery. Flip enjoys all aspects of veterinary nursing, but has a particular interest in X-rays and dentistry and holds the ESVPS Nurse Certificate in Animal Behaviour. Ann is a very experienced Veterinary Surgeon who qualified 28 years ago in Belgium. Shortly after this she moved to the UK- only intending to stay for a year- but she couldn’t bring herself to leave, and has worked in small animal practices ever since. 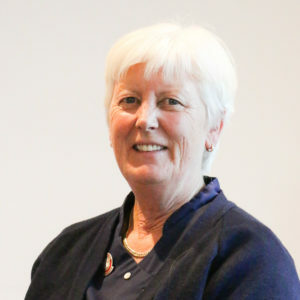 Although Ann does enjoy all aspects of general practice she has a particular interest in surgery and a passion for conservation, obtaining her diploma for Conservation Medicine last year. Karen joined Stuart de Wolf and team at Berry House Vets in May 1998 initially helping across the board but was ultimately encouraged to train as a Veterinary Nurse. She continued to work at Berry House throughout her training and after qualifying gained an particular interest in radiography and nursing of exotic species. 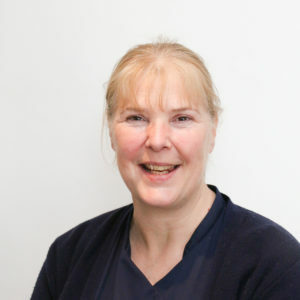 Karen worked as a senior nurse at Berry House up until May 2014 when she left the main practice to run the branch practice in Shefford and was there until February 2015. 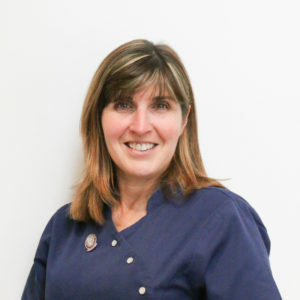 Karen then made the move to Nine Lives Vets in Redbourn where she worked with a variety of exotic species along with the more traditional pets and ran their regular weight clinics. 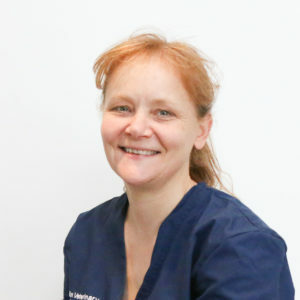 Now Karen’s career has gone full circle, she has taken up the challenge of helping Stuart de Wolf start up the new Hitchin Veterinary Surgery. Kirstie graduated from Writtle College after studying BSc Equine Science and gaining her BHSAI alongside her degree. 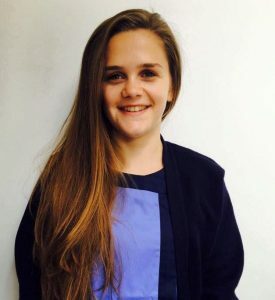 After graduating she joined Berry House in January 2013 as a part time receptionist but shortly after was taken on full time also dealing with the finance and invoicing for the practice. Kirstie then came off reception to take on a more administrative role including the insurance and VIP scheme. In March 2015 Kirstie joined Tyrrells Equine Clinic as their receptionist, speaking to clients on a daily basis and helping out in clinic when necessary. 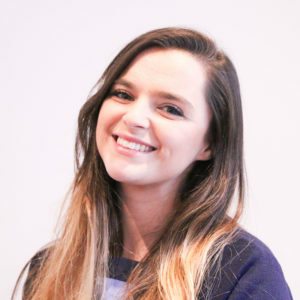 Now Kirstie has returned to Stuart’s small animal practice as Office Manager and is currently studying to complete a qualification in Bookkeeping and Accounts. 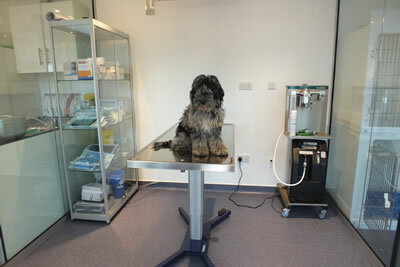 Emma started working at Berry House Vets in Grove Road with Pete Dawson working full time. 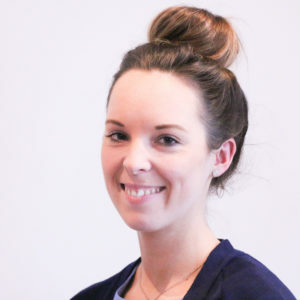 When they moved to Nightingale Road with Stuart, she began running clinics and Emma had a special interest in weight clinics. Hills used to run a ‘Pet Slimmer’ competition and her clients and their owners won several prizes for their success in weight loss. When Stuart started up again at Hitchin Vets it was a natural progression to move so Emma joined the practice in May 2016. Emma enjoys all aspects of her job, especially the clients, and she is also fond of the owners too! Overall, Emma has now worked for Stuart for over 24 years. Lauren is currently studying Veterinary Nursing at the Royal Veterinary College at Potters Bar and works part time along her studies with us. She thoroughly enjoys behaviour and she will be answering your calls and greeting you all during our Saturday surgery! The surgery’s opening hours are between 8am – 6pm Monday to Friday and Saturday 9am -11am. The length on the consultation will be dependent on the nature of the visit and will vary between 10 – 30 minutes allowing the vet adequate time to discuss the health of your pet and to devise a treatment plan sufficient to your pets need. My HVS Healthy Pet Club has been designed in order to provide preventative annual healthcare for your animals at a discounted price covering vaccines, worm and flea treatments. In addition to these there are further discounts on routine services such as consults, dentistry and microchipped indicated further down.